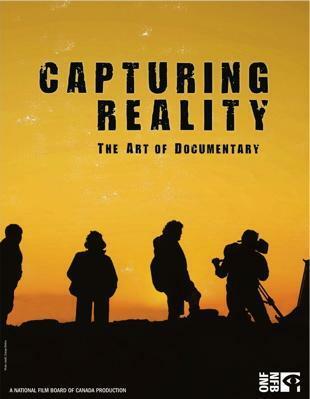 There are different styles and approaches on how to make a documentary. This section aims to address questions that are often reaised a round supposed objectivity or subjectivity of the medium and it&apos;s limitations for knowledge discovery and knowledge sharing, and proposes to provide some different perspective to examine the problem from. What follows is the bare minimum (I think) you need to know about documentary films history and theory, if you work with audio/visual medium. I draw and expand on an essay I wrote during my MA in doc films a while back. I might be over simplifying here, but I think there are three main concepts that are worth knowing about when it comes to documentary films history and theory, especially if you are working in documentary or factual production, or even in some other form of story telling for that matter. One is the American concept of Direct Cinema (equivalent to free cinema in the UK), Second one is the French idea of Cinema Verite, and last but not least Verner Herzog&apos;s concept of Aesthetic truth. But rather then dive straight into the key historic moments, it might be worth whatching Capturing reality from NFBC beforehand to get a bit of context, here&apos;s the trailer, that lays out some of the key issues a round documentary films, with interview with established documentary film-makers. Before we dive into it, it&apos;s worth considering that it&apos;s in infancies, documentaries, started as slide-shows of travel expeditions, lectures, travelogues, where the explore would narrate over his slide show in front of a live audience. Crafting it into a compelling story as much as possible. 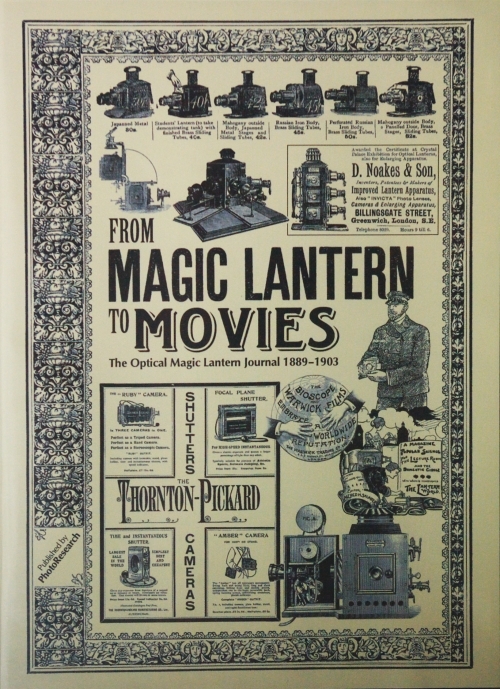 Magic lanterns where used as projectors to entrataine audiences. See how in this BBC documentary it is compared to a precoursour of early days cinema. It&apos;s interesting to see how this tradition is still very much alive in what are now called "digital stories" or "Multimedia slide shows" such as those made by MediaStorm, see One Man Brand or Remember These Days as examples. They still use a bit of video footage, but the audio interview in the narration and the stills are mostly what drives the narrative, as opposed to on screen actuality. Another example that resonate with this tradition I think is An inconvenient truth, trailer. Where at the core a lecture by Al Gore is mixed with a voiceover to ad a personal journey element to it. Going back to our fast track history of docs, In Flaherty&apos;s Nanook of the North, he draws on the travelogue tradition. However the narrative was highly crafted during production, staging scenes and sequences, but without voice over narration, perhaps mostly due to limitations of the medium, and presented to the audience as filmed in an observational unobtrusive way. And some could argue that this created a precedent for most of the misconceptions about the camera&apos;s supposed objectivity. With 1920&apos;s influence of futurism we see Dziga Vertov&apos;s "Man with a Movie Camera" drawing from the tradition of city symphony and really pushing the creative possibility of editing. In Direct cinema, the feeling of being there captures the audience. There&apos;s is no narration, presenter or the film-maker intervening on screen. I guess is what most people think of when they think of "fly on the wall", "pure Obs doc". However for it to work, they usually chose crisis situations where not only the contributors are so engrossed into what they are doing that they forget about the camera, but also some sort of story arc is guaranted by the upcoming events that will be unfolding in life regardless of the filming. "to combine Flaherty’s engaging style – a marriage of cinematic narrative conventions to footage based on ‘discovery’- with the unobtrusive recording method". - Saunders 2007, p.9. Major players were Pierre Perrault, Chris Marker, Mario Ruspoli, Jacques Rozier, and JeanRouch. In the verite style, the sound was sync ,thanks to lightweight equipment. Editing was chronological rather then striving for a dramatic effect (Barsam 1992, 303). Jean Rouch uses the camera as a catalyst, incorporating interviews and improvisation as tools. To gain insight into hidden thought - the consciousness of the subject – interventions were employed to guide the participants both inside their inner world, but also stimulating their curiosity for one another. These are the main motivations that led Rouch and Morin to be on-camera participants while directing the film. Here&apos;s an extract from "Chronicle of a summer", and an interviewwith Jean Rouch. Showing the opening scene where they discuss the implications of film-making with the main contributor Marcelline. "But I wonder if it is possible to film a conversation naturally with a camera present" - Jean Rouch, Chronicle of a summer. In the 1961 film "Chronique d’une ete"("Chronicle of a summer"), started off with a camera that weighted 30 to 50 kilos. This restricted them to shooting from a fixed camera. And halfway through filming, Michel Brault brought the first lapel mic, and 10 mm camera to Jean Rouch. The best example of the freedom of movement allowed by this type of technology is the scene where Marceline iswalking through the Place de la Concorde. She has a recorder and microphone under her coat, and although Rouch and Moran are not aware of what she is saying, they can decide to move the camera,further away, to increase the dramatic effect of the framing. Rouch’s car was used as a dolly. As she so eloquently puts it in this interview, Jean Rouch&apos;s underlying assumption about Truth is that people reveal their "real" self when performing in rituals, in this case the filming ritual done in the cinema verite way, as opposed to when they go about their daily life unaware of being filmed. If you are interested in finding out more about these two movements, you should check out "Cinema Verite, Defining the moment"
The cinema vérité style finds his legacy in the more recent more mainstream films by Michael Moore, and Morgan spur lock, but is definitely worth knowing about the British NFTS tradition of Nick Broomfield, Molly Dineen, and Kim Longinotto. I&apos;d recommend to watch: Rough Aunties"(trailer) and "Sisters in law" by Kim Longinotto The Heart of the Angel and "Geri" by Molly Dineen, >Kurt & Courtney, Soldier Girls, "a time comes", and "Tracking Down Maggie" by Nick Broomfield. Check out this interview with the latest. Very interesting point he makes, and you can see how it then raises ethical questions, and gives ethical editorial responsibility to the film-maker. We&apos;ll get back to this point, but for now let&apos;s consider Michael Moore&apos;s approach. To take this issue a step further I&apos;d strongly recommend to watch "Manufacturing dissent" (watch), see trailer below, where film-maker Debbie Melnyk criticise Michael More for "bending" the facts in some of his docs. However before doing so, to avoid spoilers you should probably watch "Roger and Me"(trailer), "Bowling for Colombine"(watch) and Fahrenheit 9/11" watch to avoid a spoiler alert, and put the criticism more into context.. if you haven&apos;t already. Verner Herzog&apos;s concept of "Aesthetic truth"
In today&apos;s documentaries most productions will use a mixture of direct cinema and cinema verite, leaning more towards one or the other, and most often aiming to do interviews, mixed with actuality. Most amazing combination of this I&apos;ve seen on Tv recently is the BBC3 Life and death row series. What I like about it is it does not recur to narration led voice over. It strikes the right balance between interviews and actuality, using those to drive the narrative. I think it then becomes very useful to understand Werner Herzog idea of aesthetic truth and how for him boundaries between documentaries and fiction are therefore very blurred. But Before we do so let&apos;s consider this interview I made for the BBC academy college of production with John Douglas one of the directors of one of the episode of the Life and Death Row Series I already mentioned. The key take away here is the emphasis on the relationship with the contributors and representing your understanding of their truth without making it about you. Personally I don&apos;t find the re-orchestrating and scripting of events very interesting in itself, but the Idea of representing a moment that is artificially reconstructed, to fabricate and reproduce emotions and feelings that belong to that moment, it is nonetheless quiet compelling. Here&apos;s an extract from a BBC Imagine Alan Yentob Series episode &apos;Werner Herzog: Beyond Reason&apos;. Alan Yentob asking Herzog about the decision of subsequently making a feature film out Dieter&apos;s story, which was then called Rescue Dawn, raises the question about choosing documentary over fiction, which I find Is an interesting point for debate. For instance you take a film like 127 hours, it could have been a docudrama, in the style of touching the void, but Danny Boyle would argue that an actor performing is bests at re-creating the truth and getting the audience into the cinematic story. Vs making a docu-drama. I don&apos;t think there&apos;s a clear cut answer to this question, and it mostly would depend on the story, and the film-maer skills and sensibility. But none the less I agree with the point raised in Imagine that "Rescue Dawn" ended up being more of a documentary because of how literally was reconstructing very detail without leaving room for imagination and interpretation while, "Little Dieter&apos;s needs to fly" was more of a work of fiction (in a good way) because of the performance and re-enactment, which I find interesting food for thought, especially if you think about Jean Rouch idea of performance in rituals being the time where people are their "real" selves, which we mentioned earlier. On the flip side, this also means that sometimes you&apos;d avoid including material that could have great "dramatic impact", because it is not the right thing to do both for ethics considerations and for the story.See Werner Herzog explaining it in his words in regards to the decision not to include the recording of the final moments of Timothy Treadwell, and his partner being eaten by a bear in "Grizly Man". It [the audio recording] was so terrifying and horrifying that it was immediatly clear it was not going ot be in the moview [...] and ofcourse there is a responsability that as a film-maker you have. because you&apos;d violate the right and the dignity and death o these two individuals, you just don&apos;t do it. However it is an important pivotal moment in the story, and Herzog, cleaverly finds another way to include it, indirectly through an interview with the doctor who performed the autopsy and had listened to the tape, and who can describes it. As well as through filming himself listening to it, while talking to one of the key contributors. I&apos;d close this section with a good interview with Verner Herzog about one of his latest films "Into the Abyss" where he talks about his process, coincidentally about death row as well. You can also consider how this applies to other forms of documentaries. Herzog&apos;s"Girzly Man", defenetly worth a watch if you haven&apos;t seen it. Errol Morris, "Thin blue line") trailer. definitely worth a watch. For a great example of plot driven narrative. "Touching the void" I saw this when I was 16 at the cinema and is what eventually got me into documentaries. And this great interview with the film-maker, Malik Bendjelloul, about the behind the scene making of. Working with contributors and establishing trust and commitment. (watch the film first tho). But I want to stress it doesn&apos;t have always to be some sort of reconstruction of something that happened in the past, like these last examples would suggest, for instance "Encounters at the End of the World"(Trailer) or "Into the Abyss)"(trailer) by Herzog deal with unfolding events in the present. I chose these last example because they are films were, taking for granted that the camera is not objective, the question is then shifted on what are the best way to use all the multi-sensory element of the film-making medium to reconstruct the truth of the moment of the story you are trying to tell. None the less, it&apos;s all about story, not as hard and fast rules, but as principles, which you&apos;d need to know about to be able to break. And the reason why I say this is that this last point overshadows to a certain extent the previous schools of thoughts, in the sense that once you&apos;ve figured out what the possible story is, then you can work out the best way to tell it. Sure it&apos;s a given that story telling and story crafting might come easier to some, but none the less it&apos;s a craft, and as such it can be learned. "What if the writer is attempting to create a story where nothing much happens? […] more of a reflection of the real world?"